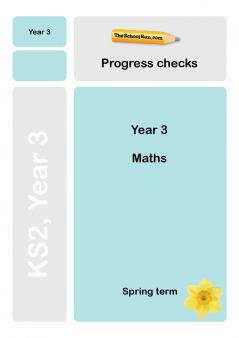 Get a sense of your child's progress in maths, and the areas they might need extra practice in, with our Year 3 maths Progress Checks. Three tests, each tailored to one of the school terms, are included, as well as answers to help you mark your child's work and identify any tricky topics. 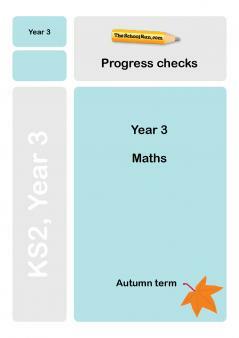 Our Y3 maths Progress Checks, prepared by a KS2 teacher, will help you identify any areas your child is having trouble with so you can support their learning at home. Answer one-step and two-step questions about the data presented. 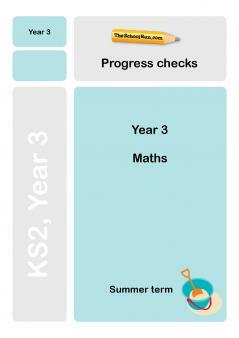 For more information about what your child learns in Year 3 maths read our parents' guide; you can also browse all our Y3 maths worksheets or follow our Learning Journey for Y3 maths.